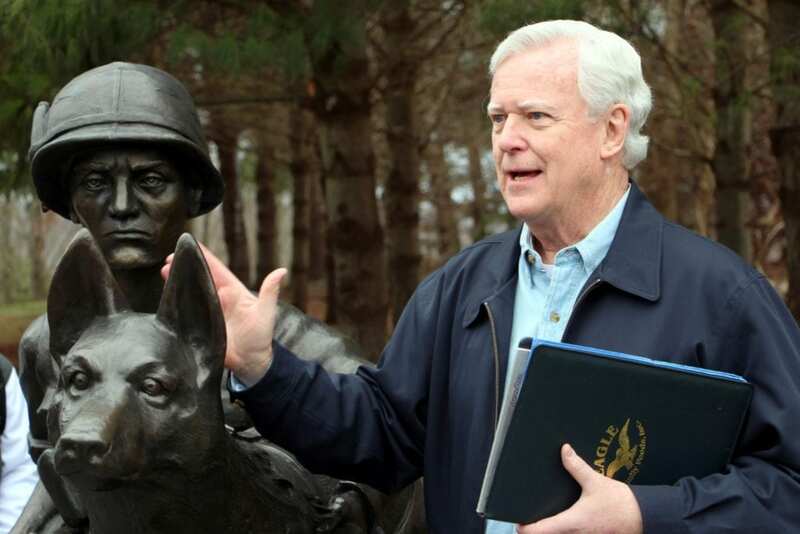 This year, the New Jersey Vietnam Veterans’ Memorial Foundation recognizes Robert Gangi as our 2019 Teacher of the Year. 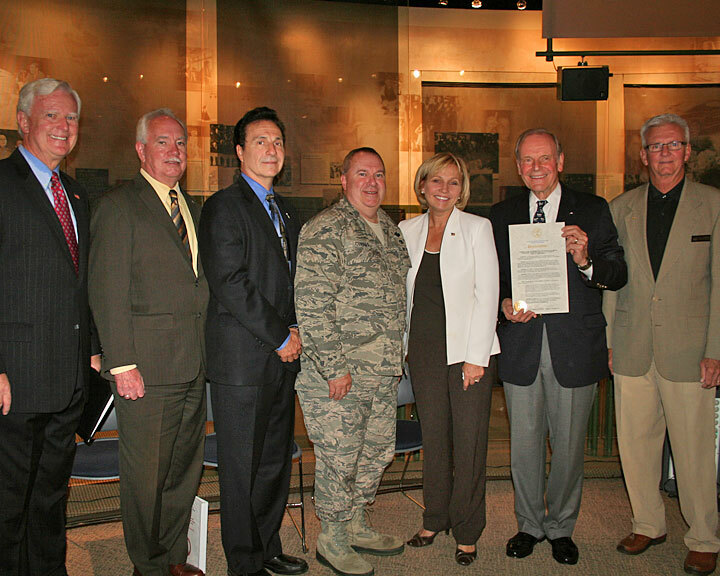 The NJVVMF introduced this honor in 2018 to celebrate the 20th Anniversary of the opening of the New Jersey Vietnam Veterans’ Museum and Education Center. Robert Gangi was selected by the Teacher of the Year Committee, consisting of NJVVMF Staff and members of the Board of Trustees, for his commitment to the teaching of the history of the Vietnam Era. For over a decade Robert has brought students from his course, “The Vietnam War Era,” to tour the Memorial as part of the curriculum. 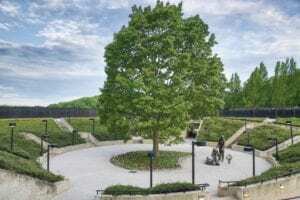 During these trips, he serves as an “unofficial” photographer of the Memorial and has captured dozens of beautiful images showing our tour guides interacting with his students. We have used some of his photos in our publications, as he is able to truly capture the passion our volunteers bring to their tour experiences with students. Robert Gangi is a dedicated, energetic, and passionate teacher with 22 years of experience developing curriculum and teaching a variety of history classes. He currently teaches in East Brunswick High School, a Blue Ribbon School of Excellence. 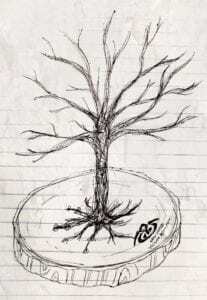 He has developed specialized courses, including, The Vietnam War Era: A Time of Turmoil and Change, as well as the college-level courses, Genocide in the Modern World, and Nazi Germany and the Holocaust. These courses remain some of the most popular electives in the school. To enhance the educational programs and student experiences, these classes have arranged for students to hear primary source testimony from numerous guest speakers such as Holocaust survivors, Cambodian genocide survivors and Vietnam veterans. 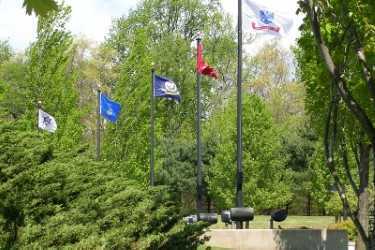 Another common feature for all these classes are field trips to the NJVVMF and other sites of historical significance. Robert Gangi considers himself a teacher, but also a lifelong learner. He earned his teaching certificate and B.A. in History from William Paterson University in 1995, and has since earned two additional Master’s degrees (Education Administration from Kean University in 2005, and History from William Paterson in 2008) — all while teaching full-time. Mr. Gangi is extremely dedicated to professional development. 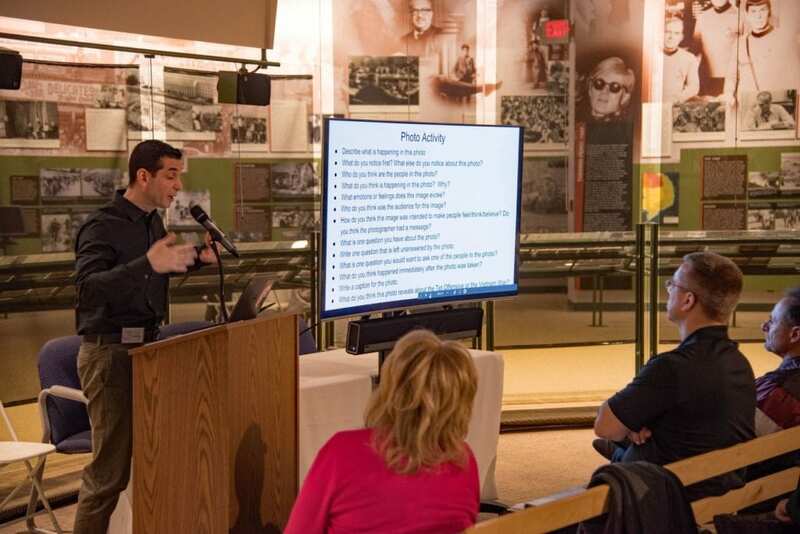 He has attended and presented at numerous seminars and workshops at the local and state level, including last year’s NJVVMF 50th Anniversary of the Tet Offensive for which he developed an extensive and readily usable curriculum unit for teachers. He feels both honored and fortunate to have been afforded the opportunity to take advantage of several prestigious scholarships and awards. These include a Fulbright Scholarship, a United States Holocaust Memorial Museum Teacher Fellowship, a Columbia University Alfred-Lerner Fellowship as well as several other scholarships that have allowed him to study history programs abroad in places like China, Korea, Turkey, Cyprus, Israel, Germany and Poland. He is also an avid traveler. For his own personal cultural enrichment and leisure he has toured numerous foreign countries including Vietnam and Cambodia. During these trips, he made a special effort to visit the Hanoi Hilton, Vietnam War Museums in Saigon, and the Cu Chi Tunnels. In his free time, he enjoys photography, music and spending quality time with his wonderful wife Sara, and their two Italian greyhounds, Grady and Skillet. This year’s Forum, Civil Rights and Liberties During the Vietnam War, focuses on Civil Rights and Liberties. In the age of increasing student activism we are excited to host Mary Beth Tinker as our keynote. Tinker is the namesake of the Supreme Court Case Tinker v. Des Moines which involved student lead protest of the Vietnam War. Other student and educational centered panels include; civic participation among young people and Freedom Schools during Freedom Summer. The NJVVMF Teacher of the Year Committee is always looking for nominations from colleagues, administrators and community members. If you know of a teacher that is making important contributions to the teaching of the Vietnam Era, please send their name, school district, and a little bit about why they should be nominated to Keri A. Giannotti at kgiannotti@njvvmf.org for consideration by the committee. 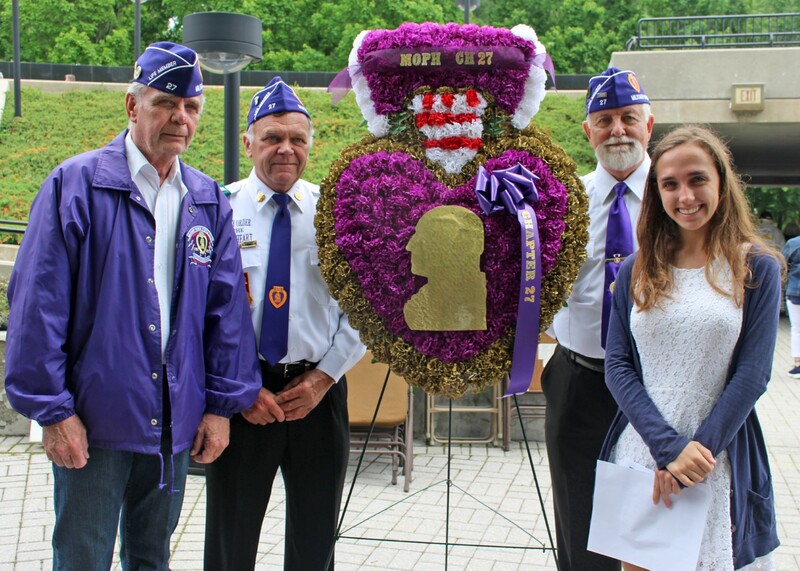 Our 2018 NJVVMF Teacher of the Year Frank Dunn has recently retired from Boonton High School and joined our team volunteers at The Memorial. Last week we shared the history and significance of celebrating military spouses. 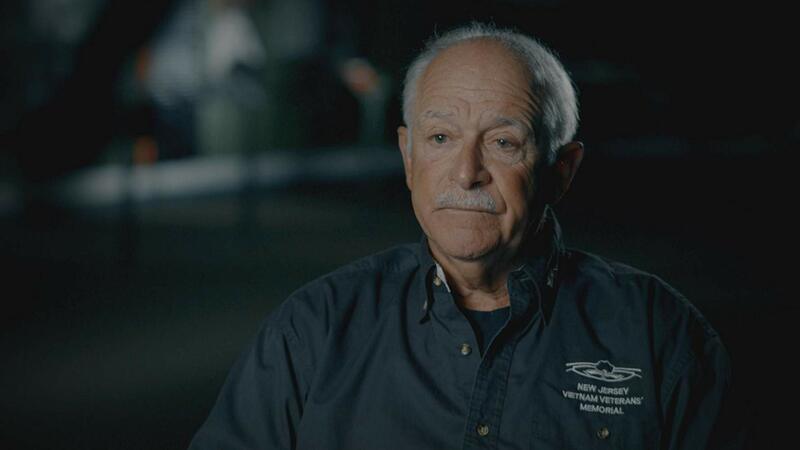 Continuing the celebration of Military Spouses, we are pleased to be able to share a conversation between one of our own Vietnam Veteran tour guides, Carl Burns and his wife, Ruth Ann. 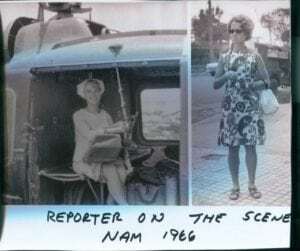 While Carl was serving in Vietnam, Ruth Ann was able to go to Vietnam to cover war as a journalist. Below is a transcript of their story. Ruth Ann: As a journalism student at Rutgers University I experienced many feelings on the war. On campus it was being dissected daily by those opposed to the war. The newspapers and television painted a scanty, often confusing picture of life and death, blood and pacification, hope and desolation. 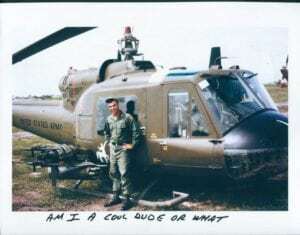 And my husband of six months was flying a helicopter out of some place called Cu Chi. Most Americans couldn’t pronounce the names of places in Vietnam–Phuc Lon, Trang Bang, and Hue, they almost sounded like dirty words. 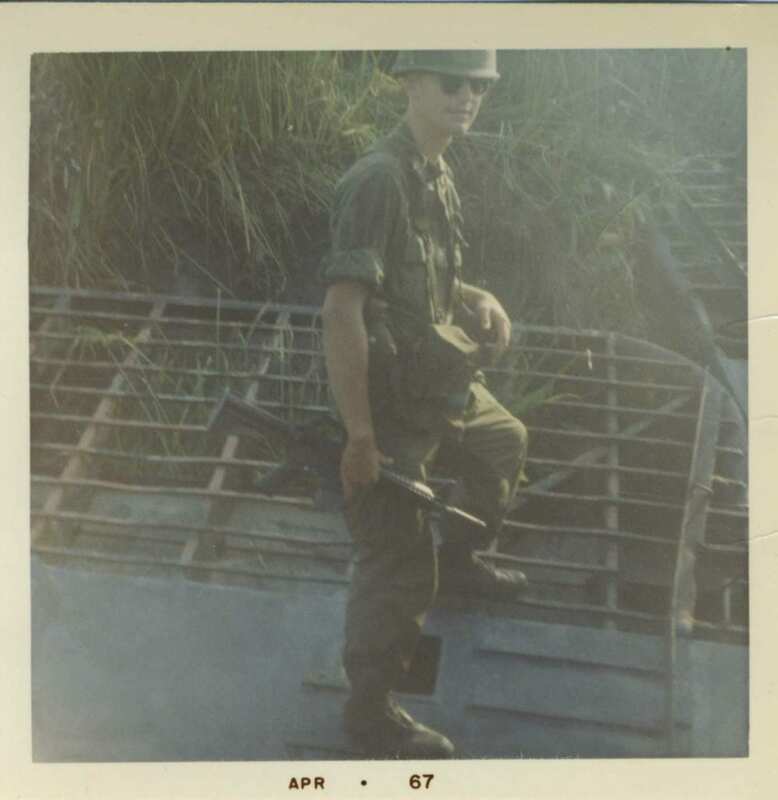 Getting to Vietnam was a long and sometimes discouraging battle in itself. I was only 21 at the time, between my junior and senior year at Douglass College in New Brunswick, New Jersey. I worked as a feature writer for a regional daily newspaper. Through countless letters, visits to media outlets in New York and phone calls, I managed to cut through the military red tape. My trip cost $2,000, and I paid for it from numerous contracts with media from Parade Magazine to the North American Newspaper Alliance. Armed only with the top of my wedding cake frozen in dry ice, notebooks, a loaned typewriter and cameras from my newspaper, I left for Vietnam. It was 12,000 miles, 29 flight hours, 7 Pan Am dinners and 5 stopovers. Landing was my first taste of the war zone. Our plane dive-bombed for the runway, fearful of enemy firepower. Overheads spilled open, galley kitchen items tumbled down, and a child actually rolled down the aisle. Welcome to Tan Son Nhut Airport. What met my eye immediately was the vast complexity of this jungle war. Life in Saigon went on like the VC was just another word. Traffic jams rivaled New York and barbed wire was everywhere. Carl’s first words to me after telling me I was beautiful were that we had a little problem with my credentials and he joked, “I might be court martialed.” We spent two days finding the Marine major who actually wrote the in-country rules. He was a big burly guy, chomping on a cigar, looking so much like the tough Marine he was. He looked at my credentials, letters and contracts, and said “Little lady, people are running from this war and look at all you did to get here. You can cover this war.” He stamped my credentials. Finally we had a victory. Carl: Of course in the beginning I did not want Ruth Ann to come to a warzone. People were running from this war and she was fighting to come over. I watched all my hoochmates making plans to fly to Hawaii or Thailand for two weeks of R&R with their wives and mine was about to land in Saigon. My company commander could not have been more supportive. First he gave me the bad news that she would not be allowed in country because she was a dependent. But then I looked at him and said, “you don’t know Ruth Ann, she is on her way Sir.” Colonel Peterson gave her his best helicopter pilots to get her around in country. Our experience was unique and I got to see a side of the war that I never would have been exposed to. There was the story of An Lac orphanage in Vietnam. Madame Ngai lost her own husband and son to the war in North Vietnam. The humanitarian doctor, Tom Dooley helped her establish her orphanage in An Lac. More than 300 children was a hard sight to see; the collateral of war. There were too many children with missing limbs, babies in cribs staring out blankly. Toddlers run up to Ruth Ann and wrapped their little arms around her legs, leaving her dress covered with tiny little handprints. 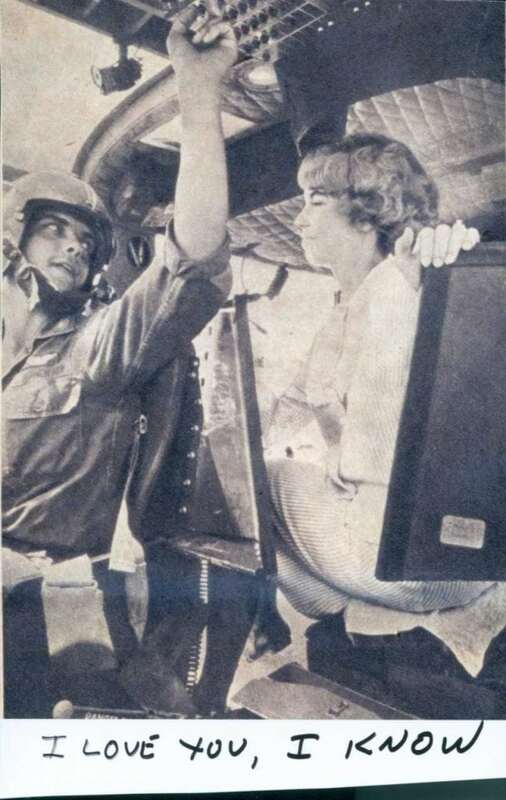 Ruth Ann: I interviewed nurses in the Third Field Hospital from the Army Nursing Corp. Helicopters flew in broken American bodies and surgeries went on day and night. If you have ever been a fan of Mash and Alan Alda, you have a sense of what the Third Field Hospital was like. I saw and felt the strength and will of America’s soldiers. They were my age. They had missing limbs, scarred faces, broken bones, but no broken wills. Carl: For those who waited at home during the war, it was another type of hell, lonely and lacking in support. Ruth Ann lived for slim airmail letters that would often arrive in clumps. I promised her to write every day and she did the same. Those letters were our lifeline to home and mail was rarely on time. Toward the end of my tour, I made Ruth Ann a “short-timers” calendar on index cards marking my last 60 days in Nam. I made her promise to only flip one card per day but knowing her like I did, I knew all 60 would be flipped at once and then she would go back day by day. It was our survival calendar to when I would be home again and our married life could begin again. It was our first helicopter war. It was our first guerilla war. One war was fought with helicopters and ground troops, and the other was fought with medicine, soap, and food to win the trust of the villagers. What was secured by day went back to the VC at night. Ruth Ann: Carl and I visited a hamlet and village chief. I sat on a grass mat to sip tea with peasant women. Most thatched roof huts had two rooms. Seven children slept on bamboo slats. There was a fire pit in the middle of the room and a five-foot bomb shelter hole toward the back. The village chief’s wife smiled and she happily nodded when I complimented her children through a translator. 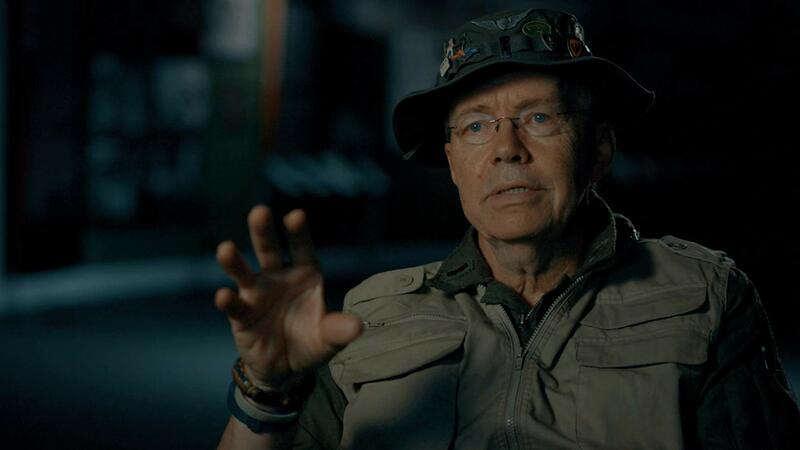 Carl: Vietnam was a country at war for what would seem forever. We saw it in the ravaged countryside, in the bomb shelters in every thatched roof hut, but especially in the faces of children, the waifs of war. Saigon was a refugee city. Children as young as three slept on grass mats on the sidewalks outside our hotel on Tu Do Street. The hotel was bombed, the daily market was bombed. It was the first war in which when fighting ceased for a bit, soldiers returned to their hooches for a beer, TV, a sometimes shower from a water drum on stilts, and a game of touch football. Ruth Ann: The market where I bargained for presents to bring home was hit by a grenade the next day. The hotel on Tu Do Street, called the gathering place of the elite when the French were there, was bombed a week after I left Saigon. The elite were lizards when I was there. In Vietnam we were never able to separate out the war from the warriors. There were no parades, no yellow ribbons, and no rallies. Vietnam vets were flipped the bird, cursed at, and called “baby killers.” I saw bravery every day I was in- country. I saw valor and self-sacrifice. I saw complex forces at work on both sides. I met heroes and heroines, my husband was one of the heroes. Our soldiers might be considered ordinary people back home, but here they were doing extraordinary things. I didn’t want to leave, but my husband and my parents were urging me to return. And I had a college degree to finish. It was very tough to go from adrenalin-pounding-days when every sense is on guard, back to college classrooms where the war debate raged. Carl: I have to admit, I was happy to see Ruth Ann leave Vietnam and return to college. I missed her terribly but knew that she would have a deep understanding of the war and my role in it because she experienced it firsthand. We encourage to you come and hear these stories for yourself on one of our Saturday Tours. Carl Burn and Ruth Ann Burns are both proud and active Rutgers Alumni, particularly the Rutgers Oral History Archives. Carl is a regular on our tours both with school groups and our Saturday tours. We hope you will hear his story in person, by joining us for a tour of the Memorial.